Description: Restaurant just opened May 2010. This is a new location, opened in May 2010. We went last Sunday for the first time and have been there 3x now. 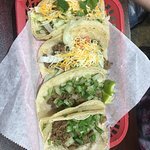 Without a doubt our favorite local Mexican spot. 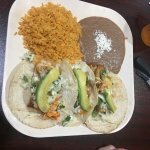 Always good food and great prices. 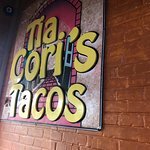 If you're on a tight budget, stop in on Tues or Thurs for $1 chicken or carnitas tacos, but any day is a good day for Tia Cori's. 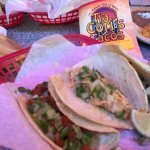 Unpretentious little spot in Daytona Beach downtown area, great tacos, Chile's rellenos, gorditas, etc. 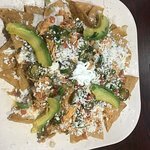 Fast friendly service, inexpensive beer, and great food. This was our first time here and we grabbed a quick lunch after playing at the arcade museum across the street. Affordable prices, nice atmosphere and good service. 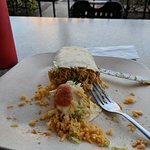 The food was good for the money and the restaurant is in a very good location with plenty of indoor and outdoor seating. 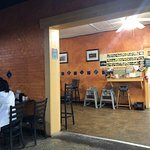 Have been here many times, great Mexican food. I would say it is authentic but I have no real frame of reference. 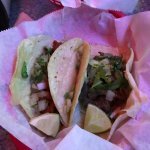 You can get your taco Mexican style (onions, cilantro & lime) and their meat choices are more than the usual -- steak, shredded beef, carnitas, chicken, marinated pork, chorizo, chicharrones. I'm a big fan of their ceviche and chile rellenos. Food is generally simple, this is not hipster Mexican. The staff was really helpful and polite. You order at the counter and then they bring it to you. The food was very tasty! We did buy a kids meal for 6.99 and it was only two chicken tenders and a handful of fries. Just not worth that much! But, overall a great place to grab a meal. Be sure to dine outside on the covered patio for an excellent view of the intercoastal bridge. 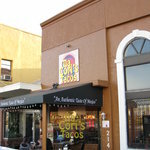 Been to Tia Cori's Tacos? Share your experiences!